The [CII] 157micron line is the dominant coolant and brightest line of the ISM in galaxies. It has been shown to correlate well with the star formation rate in galaxies and has been extensively used to characterize the ISM of galaxies at very high redshift with ALMA. It is still debated whether AGN can enhance or suppress the [CII] emission in their host galaxy due to their hard ionizing radiation field. We use SOFIA to map the [CII] line in CARS galaxies and compare this our MUSE and ALMA observation to understand the dominant excitation mechanism. While the spatial resolution of the [CII] observations are necesarily low due to the diffraction limit of a 2.9m telescope at FIR wavelength. Hence, we use a prior for the expected [CII] flux distribution from the star formation distribution mapped in Ha with MUSE or the molecular gas distribution traced by CO(1-0) with ALMA. Since the MUSE and ALMA data provide 1" resolution, we can degrade those maps to the resolution for the [CII] maps for a proper comparison. This is a forward modelling approach form which we can determine SFR conversion factors of the [CII] line and qunatify the impact of AGN ionization. The [CII] observations for CARS are observed with the FIFI-LS 3D spectrophotometry aboard SOFIA. Only SOFIA allows to observe the line in the FIR after the Herschel sattelite mission ended. 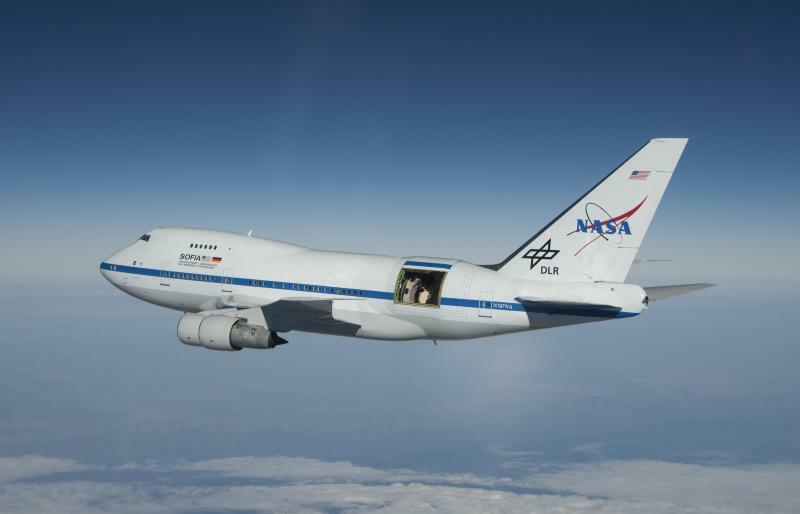 Flying with SOFIA is exciting and it really provides good data even for extragalactic targets. The power of the observatory is underestimated.